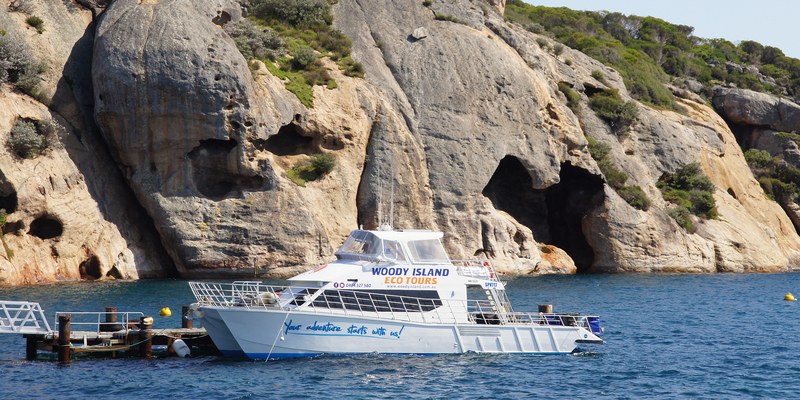 Start your Woody Island Adventure with a 80 minute ferry ride showcasing our favourite spots, for a chance to see white bellied sea eagles, dolphins, sea lions and seals at play. 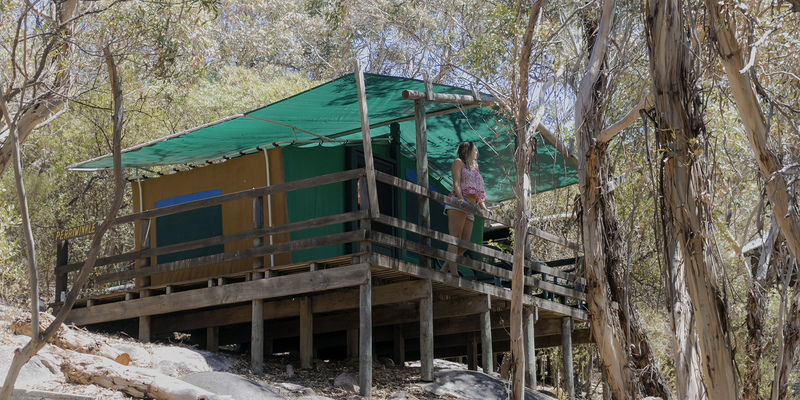 Upon arrival, enjoy morning tea on the deck of our visitor’s centre looking out over Shearwater Bay. 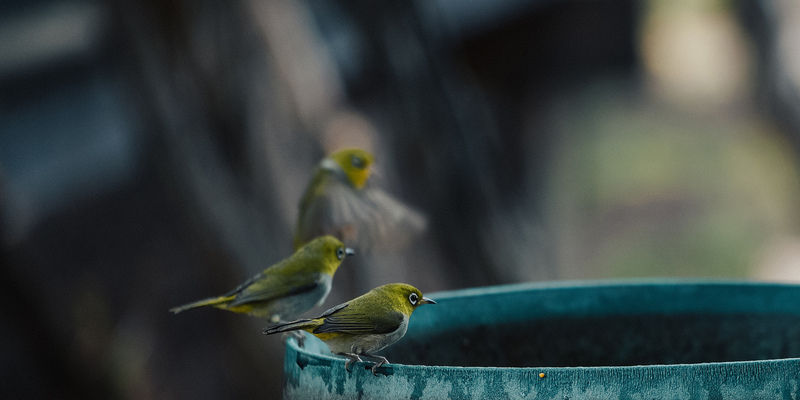 Stretch your legs with an informative guided tour of our walking trails, hear about the history while discovering the local wildlife on our unique Nature Reserve. 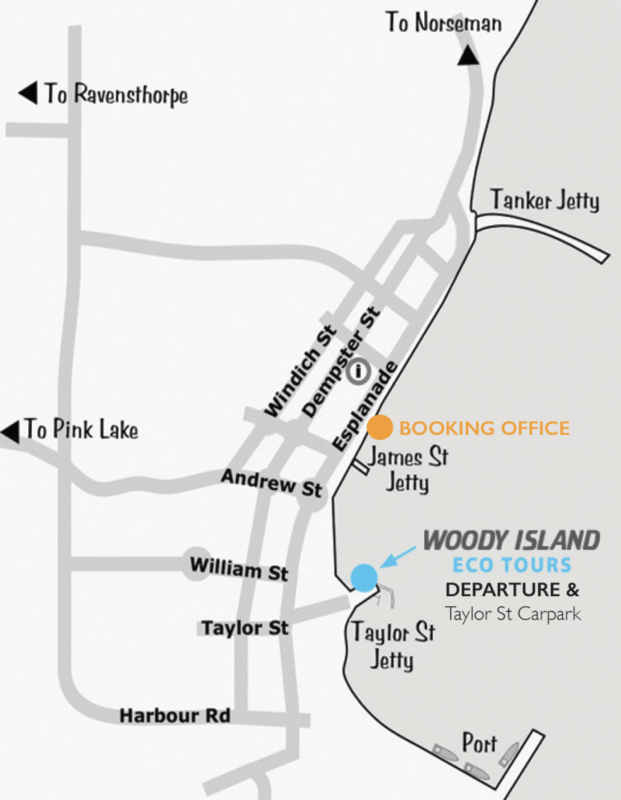 Woody Island Eco Tours suggests you park your car on Taylor Street or the Esplanade. Don’t leave any valuables inside. Please check-in 15-20 minutes prior to your scheduled departure. On arrival at the boat, please proceed to the check-in and board with your surname. The crew are there to assist with storing of luggage and boarding the boat. Please let us know how we can assist you. All luggage and personal items are transported entirely at the risk of the ticket holder. We will always take the utmost care with your belongings, but as we cannot inspect the condition or the method of packing by the ticket holder we do not accept any liability for damage to any items. Please be aware that all luggage is handled by hand by Woody Island Eco Tours staff- let us know if you have any fragile items. Please make sure that all luggage and food is stored in zip tight bags or plastic storage containers that are easily carried to avoid damage or goods spilling during transit. Packed Eskies and heavy items must be restricted to a maximum of 30kg due to the manual handling of these items. Items of value should be packed in hand luggage and kept on your person. 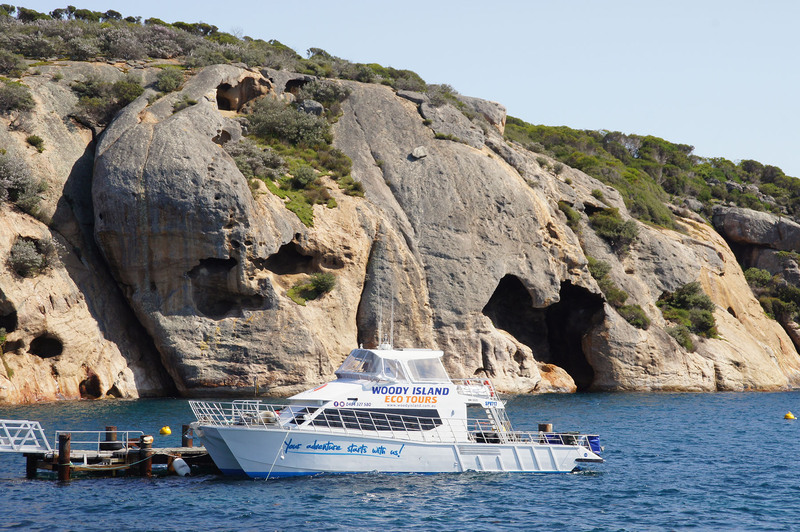 Woody Island Eco Tours has the right to refuse any excess weight items or incorrectly packaged luggage and accepts no responsibility for damage or loss to luggage carried throughout transit. We can accept kayaks, paddle boards and other large items with prior arrangement. Woody Island Eco Tours reserves the right to refuse these oversized items, if not arranged beforehand and if no space is available on the ferry. 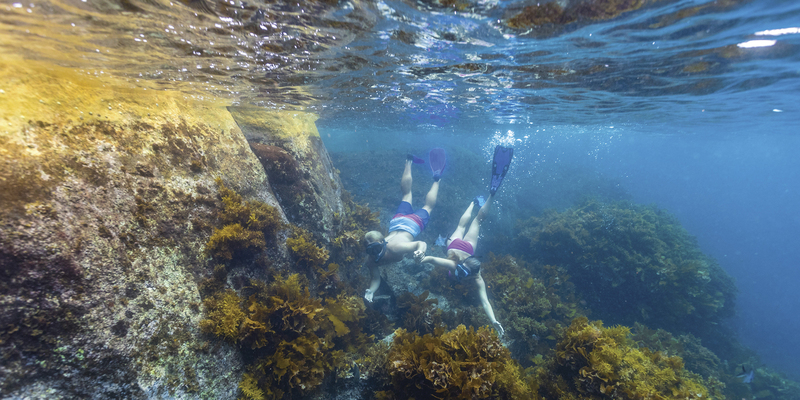 Snorkeling and fishing gear available for rental and/or purchase on the island.